Particulate Matter, abbreviated as PM, is a term used for particles found in the air; including dust, soot, dirt, smoke, and liquid droplets. PM2.5 particles are given the 2.5 annotation to describe the size as being 2.5 micrometers or less. Typically these particles are so small they can only be seen with an electron microscope. 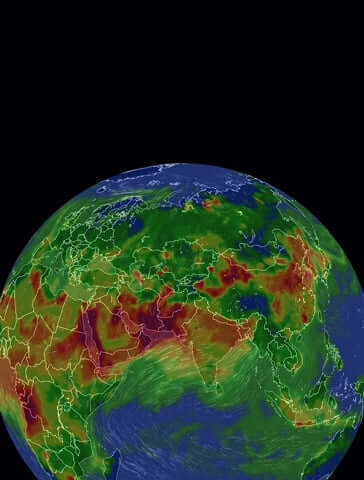 Of all air pollution measures, PM2.5 is believed to pose the greatest health threat. Due to its small size, it has the ability to both remain suspended in the air for long periods of time, and be absorbed deep into the bloodstream upon inhalation. Particulate matter is either emitted directly from manmade or natural sources, or created by other pollutants reacting in the atmosphere. Sources include combustion (motor, power plants, wood burning, etc. ), industrial processes, and chemical reactions that occur between gases such as sulfur dioxide, nitrogen oxides, and volatile organic compounds. How does it affect our health? PM’s relatively microscopic size increases its potential to be lodged deep into the respiratory tracts. This can cause respiratory illnesses such as asthma, bronchitis, and emphysema. People with heart or lung diseases, children, and older adults are more likely than most to be affected by particle pollution exposure. Due to the highly toxic nature of particulate matter, most governments have created regulations - both for their emissions and for the ambient concentration of particles.